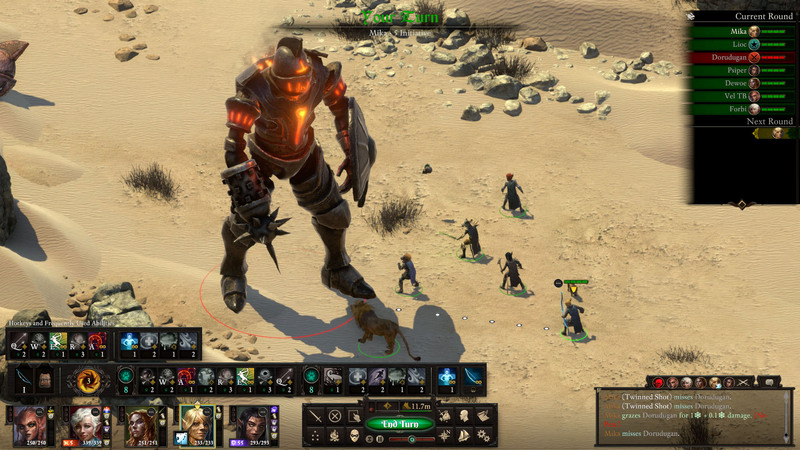 In my review for Obsidian Entertainment’s Tyranny, the first that I ever wrote for RPG Site, I found that the game merely played to Obsidian’s strengths in world building and general writing, without much else to really prop the game up to stand among the genre’s best. It was the sort of game one could expect from the independent developer, but it didn’t really manage to perform better than par. 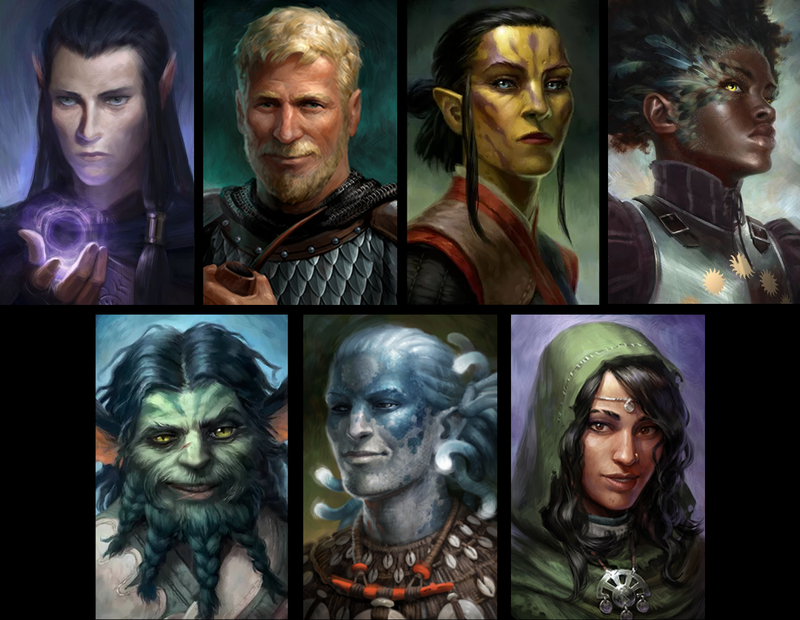 I missed the variety of character interactions of Pillars of Eternity, and the layered and interesting quest interactions with intertwining narrative threads. 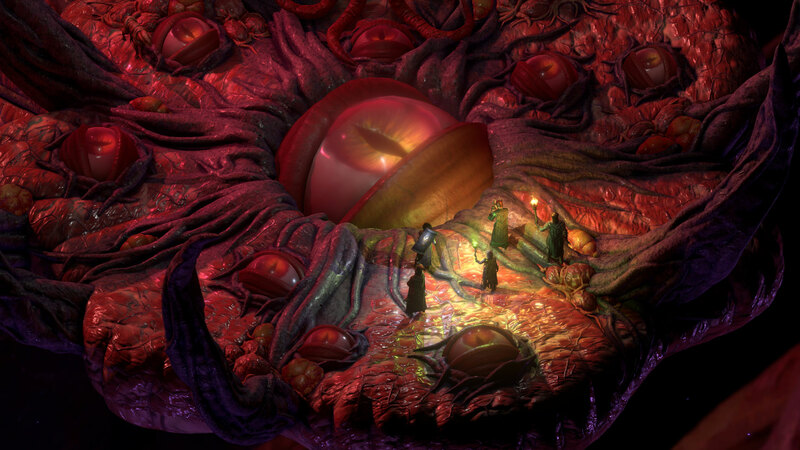 What Tyranny had in spoonfuls, Pillars of Eternity had in spades, and I was excited to see what could be done on a proper iterative follow-up to the modest yet ambitious first entry. 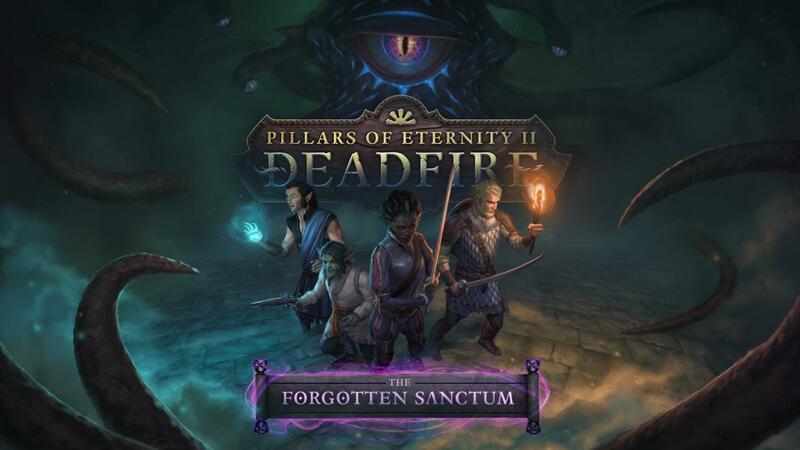 Pillars of Eternity II: Deadfire manages to do more than simply iterate on the formula, but combines smart impactful refinements with clever and inventive additions to smartly learn from the studio’s past titles and create what stands as an early RPG of the Year contender. 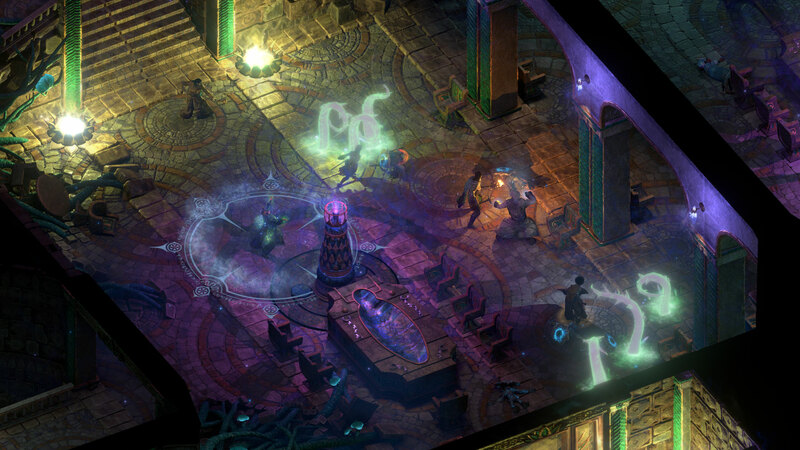 Pillars of Eternity II: Deadfire takes place roughly five years after the first game. While it is technically a direct sequel in which you play as the same player character (The Watcher), having knowledge of the events of the previous title is not strictly required. The eponymous Deadfire takes place on the distant Deadfire Archipelago, which is only briefly mentioned in the original game, and the narrative of Deadfire doesn’t directly relate to that of the original title in most respects. The sequel starts out with the god Eothas inhabiting a large colossus statue and destroying the Watcher’s castle at Caed Nua, a location that served as the center of the Stronghold mechanic in the original game. After an out-of-body run-in with the Eoran gods about how to deal with the sudden new threat, the Watcher finds themselves on The Defiant, a boat in unfamiliar waters, chasing after the mysterious and dangerous godly titan. Deadfire does allow for save importing from the original game so that major decisions will be accurately represented in dialogue and in other minor fashions in the sequel. Importing a save does not fix the player character to their class or race choices from the first game, only the outcomes of certain quests and whether certain other characters lived or died from those events. This is obviously especially important with respect to the returning party members: Eder, Aloth, and Pallegina. It will also drop in from time to time with certain interactions with a moderate number of NPCs. It occurs often enough to feel impactful but doesn’t dictate the flow of conversation in a way that makes it feel necessary. It’s a good balance that should be pleasing throwbacks to those that are extremely familiar with the events of the original game, while not leaving new or forgetful players completely lost. For those that don’t want to, or don’t remember exactly how they solved certain questlines in the previous titles (or for instance, didn’t play the White March expansions), there is also the option to select from a list of pre-determined world states. They are about 8 options ranging from benevolent to bloodthirsty for those that just want to quickly select a general temperament for their Watcher and be off on the new adventure. For those that want a little bit more control, there is also an option to select outcomes for individual questlines and characters in a manner somewhat similar to what Dragon Age Keep allowed for save imports into Dragon Age: Inquisition, though on a slightly more limited scale. This is a nice tool to have for those who are very familiar with Pillars of Eternity, but for those that never played the title (or have forgotten large portions of it), it might come riddled with too many unfamiliar names of people and places to really know exactly which options are appropriate for the world-state one might try to create. Once a history is created or selected, the first thing that’s immediately obvious is how Deadfire leans into its pirate aesthetic incredibly deliberately. Everything from the Stronghold mechanic being replaced with manning a pirate ship, the design of many of the game’s armor and weapon sets, and the seafaring world map and shanties that play while traversing between locations leans back heavily on this theme. Deadfire is incredibly forthright about the motif it’s going for and it plays to the game’s benefit in a multitude of ways. Not only does a pirate-heavy theme lay a believable framework for many of the game’s systems such as bounty hunting, exploration, and the need for a party at all, but it also ties very closely with some of the game’s narrative threads. Many of the game’s motifs and themes feel like natural extensions of the setting, including the dangers of isolationism, the large and small conflicts that stem from colonial expansion, and the volatile endless struggles over limited lands and resources. From the outset, it makes for a believable and cohesive setting which feels entirely appropriate for the story being told and the mechanics being used. Secondly, it also gives Deadfire a far more distinct identity compared to its predecessor. Pillars of Eternity contained many interesting ideas in its own right but had them wholly contained within the far more traditional trappings of general western fantasy in many respects. Like a chocolate bar in plain foil wrapping. 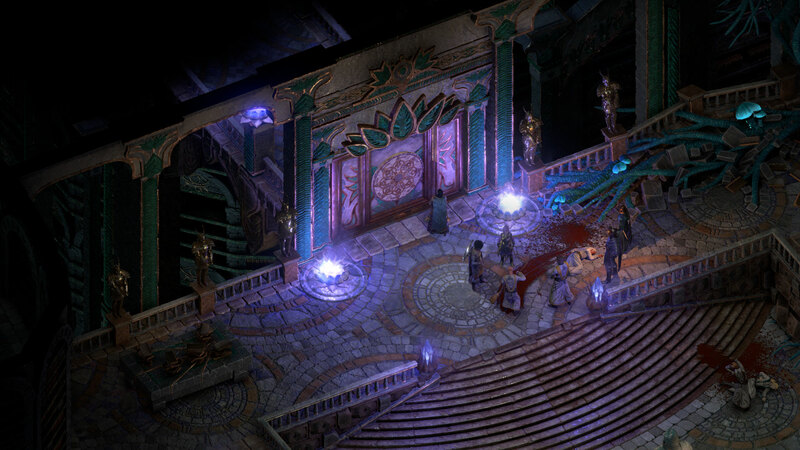 All of Deadfire’s various gameplay mechanisms interlock in numerous ways. Like the gears of an intricate clock, you can’t really understand or describe any one component completely without knowing what other pieces help drive it, nor can you fully discuss any part without also discussing how it, in turn, drives the gears adjacent to it. Generally speaking, Deadfire has three primary components in which the gameplay falls into. First, there’s the dialogue/story heavy questing component, in which you learn about the different locations and characters in the game, further your reputation with specific factions, undertake quests, and solve disputes. Not every quest results in finding a specific tomb or forest and clearing it of enemy mobs, or sinking a specific target out on the ocean. Many quests obviously do eventually lead to those sorts of tasks, but several don’t, and it’s easy to find a new port and spend time negotiating between parties under dispute, or learning how specific locations of the various ports relate to the various parties in power. The second general gameplay mode is the return of the Real Time with Pause combat gameplay. There have been a lot of smart refinement and improvements in this space, with the most immediately obvious being the fact that the party size has been reduced from 6 to 5. The resulting cacophony of spells becomes far less chaotic and allows the player to be a little more deliberate without being overwhelmed by frustrating minutiae like positioning every character properly to avoid spell effects or bodyblock enemy units. Having one less party member in the active field isn’t a huge change, but more of a proper trimming that results in a bit of a tidier, more manageable thing to keep under control. There are also new toggles for deciding how fast the battles play out when unpaused and also new options to retarget spells mid-cast if their initial target moves or dies. There’s also an extensive system that can be modified when it comes to determining your party member AI behavior. While the default AI was more than adequate for being able to play through the game on the middle difficulty without overwrought micromanagement, it does allow for an impressive level of control for those playing on the Path of the Damned or Trial of Iron modes, which return here. The additions are smart and the refinements are appropriate. The last general swath of gameplay falls under an admittedly nebulous category of exploration. This incorporates both the ship management and combat systems that take place when traveling between ports, as well as the more traditional dungeon-type exploration and the returning storybook scripted interactions from the original Pillars. Ship combat is an interesting new wrinkle for the series, in which up to five pirate ships must be properly manned with an adequate crew with specialized talents in order to properly engage with other ships on the water as well as weather dangerous storms or scripted encounters with sea monsters. 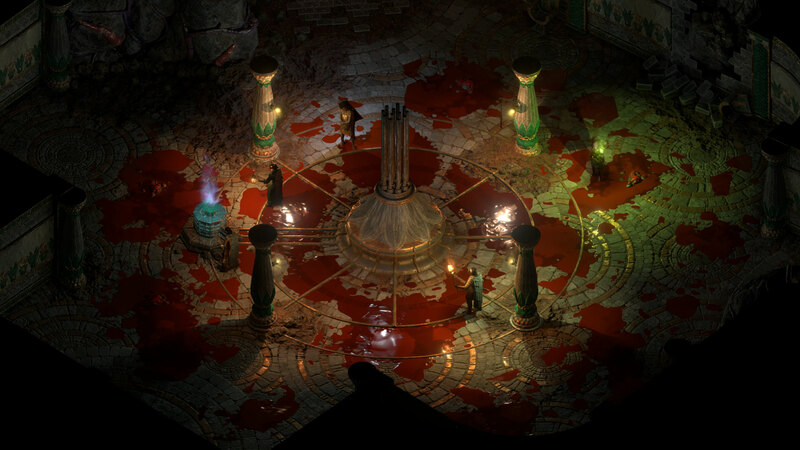 So while Deadfire has the traditional and expected burden of making sure your combat party is well balanced with complementary character classes that mesh and provide the right amount of damage, healing, and support, ship crews and components must also be well maintained, though to a smaller degree. To spend an exhaustive amount of time discussing all of the remaining gameplay factors such as Soulbound Weapons, custom adventurers, multiclassing and subclassing, crew morale, and many more would be almost overwhelming, but there are two more impactful gameplay additions that deserve dedicated space to them. 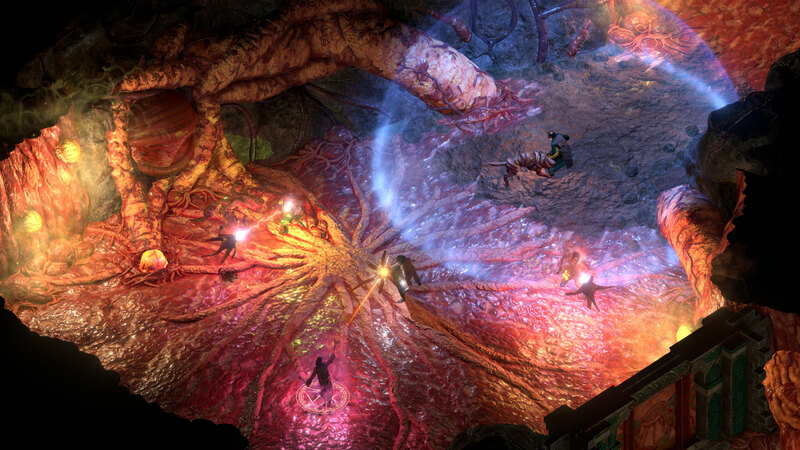 First, Deadfire introduces a Party Assist mechanic, where having party members with strengths in certain passive skillsets such as Bluff or Intimidate can help the player character pass conversation or scripted interaction checks. 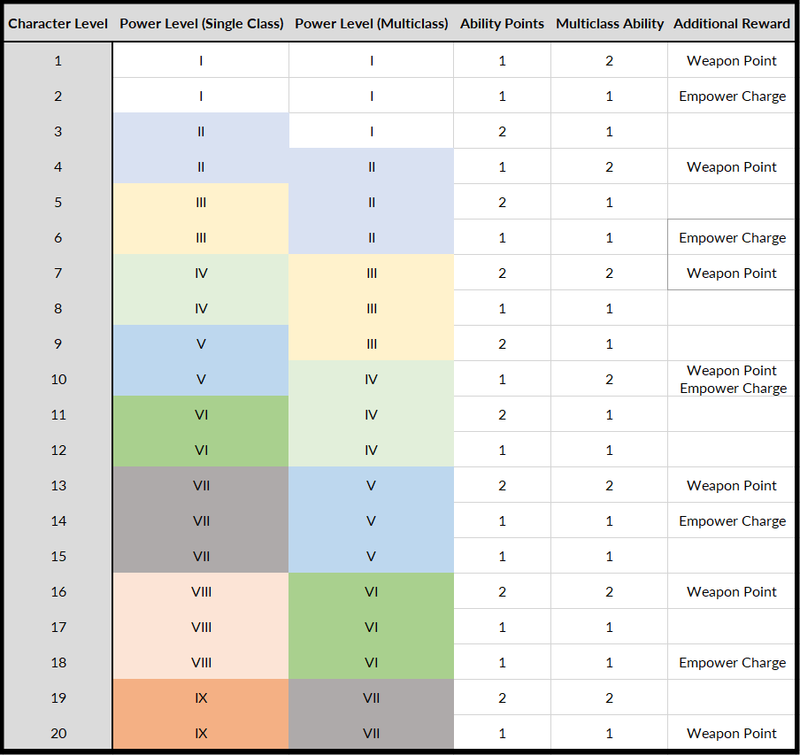 It’s a small but impactful adjustment that puts another wrinkle into determining party composition – not only must your crew be well balanced in terms of combat effectiveness, but you’ll want to make sure to have a good spread of passive abilities as well if you want to be able to talk your way out of combat situations or gather additional information from your quest givers. Secondly, Deadfire adopts the mouse-over tooltip mechanic from Tyranny when certain highlighted words or phrases can be quickly referenced mid-conversation in order to remind yourself of a specific historical event, or even just the meaning of a local turn of phrase. I found this mechanic to be just as clever and useful here as it was in Tyranny, and it helps to keep names, locations, and faces straight when trying to place together information on a quick basis. While the number and frequency of names of locations, or important leaders, or historical figures and the like can be daunting and confusing at first, this simply mechanic helps with retention with a bit of repetition or with seeing some of the aspects under a different context. This is all elevated by the amount of voice acting in Deadfire, which dwarfs the first game. With the exception of very few minor incidental dialogue sequences, every single character in Deadfire is voiced from the simplest merchant to the critical path story events. As I stated for similar reasons in my Divinity: Original Sin II review, this goes a long way in creating believable characters and helps keep dialogue encounters from coalescing into one indecipherable mass of text. Every major and most minor characters will have a specific way of speaking so that even returning to a specific weapon shop carries a little more weight, like visiting an old acquaintance, rather than just a place to drop off unneeded gear. There are four major factions in Deadfire, each with their own goals and aspirations about the conflict that emerges throughout the story. As you undertake both critical path quests as well as side excursions, the player will often be tasked with objectives that are either partially or completely at odds with the factions desires. Pretty much every major outcome will please at least one of the parties while going against the wishes of some other, at least to some extent. Luckily, the game is lenient enough that it never feels like you have to play around the systems if you want to see the majority of the quests or prevent locking off dialogue or quests. Even if the Watcher goes directly against the wishes of a specific group in an early quest, there’s almost always a way to make amends with that group, even though it might be harder to earn their highest degrees of favor. It’s possible to keep all four factions in good standing up until near the very end of the game. It comes across as a little bit convenient, maybe, but it also avoids the potential problem of locking out locations or questlines earlier than anticipated. Perhaps more importantly, it allows the player to roleplay in the manner in which they feel most aligned to their characters' motivations or temperament, rather than trying to manufacture the most rewarding outcome in every situation. It’s a good tradeoff. For a game with such a moderately high degree of complexity in terms of open-endedness and overlapping quest objectives, I found very few bugs with respect to errors in the journal log or broken quest lines. There were, however, a small number of inconsistencies that were hard to not notice especially with the strength of the quest writing and the interaction of multiple narrative threads. For instance, a party member that had left my party as part of their questline was still on my ship when I went to board another vessel for a bounty hunt. There was also one instance where I explored a location earlier than the game expected, only for later dialogue to go through a task of finding my way to that objective without indicating that I had already been there. These sorts of inconsistencies are uncommon, but present in a few instances. In most cases, veering off of the designated path is rewarding and properly reflected in the game’s dialogue options. As for the performance of the game, some larger combat encounters got a little choppy with the speed set to full and with lots of high-level spell effects going off at once. There were also a few instances where loading quicksaves crashed my game, but this was a minor deal that was usually remedied with the game’s generous autosave rotation. The most frustrating bug that needed to be dealt with was a frequent instance where the game’s UI seemed to lag behind the player input in some fashion. For instance, I would have to double, or in some cases, triple-click a character or a spell icon in order for the game to recognize the input. This was extra frustrating when I thought I had engaged a combat spell like a fireball and then clicked an enemy to target it, only for the caster to walk towards the enemy to do a melee attack because the fireball selection wasn’t registered. Even with these few shortcomings, I never found the burden to be exorbitantly frustrating. 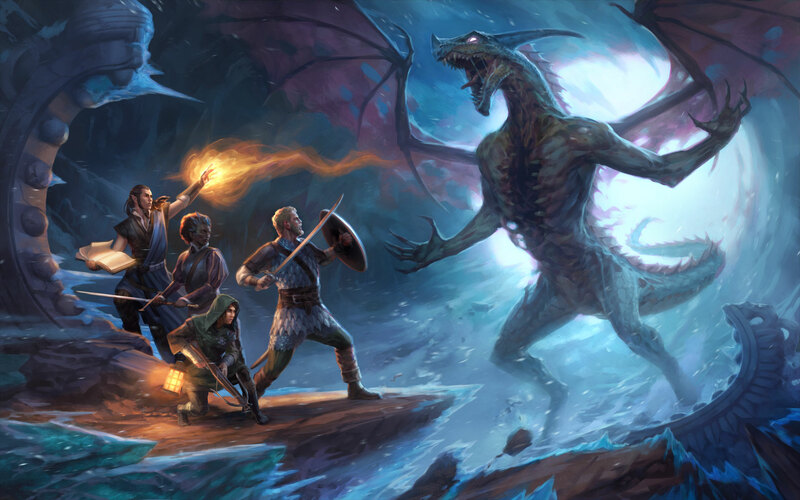 Pillars of Eternity II: Deadfire is a memorable title with a strong identity, cohesive mechanics, and a gripping world that rewards players willing to invest the time to master its systems and truly inhabit the world it puts forth. It is a game where the player is constantly learning a new bit of history, a useful combat strategy, or a particular quirk of one of their party members. 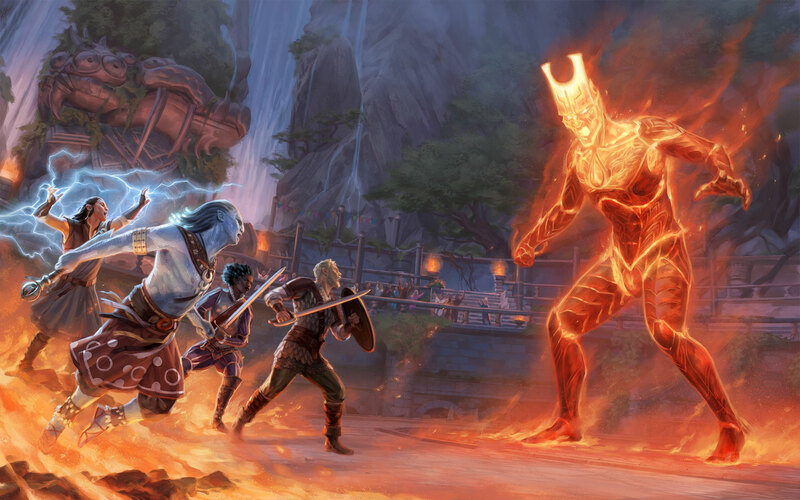 Very little in Deadfire feels superfluous or unneeded -- it’s exactly the sum of its carefully considered and well-designed parts. Paired with strong non-linear gameplay, well-written characters, and packed with a story that’s equal parts grounded and fantastical, it’s easily one of the best RPGs of 2018 so far. Versions tested: PC. The author backed the title's Fig campaign at the digital download tier.